I'm excited to share with you today that I am this month's Guest Designer at Freshly Made Sketches! Each week this month I will be playing along with the team when we share the new sketch with you on Wednesday. This weeks sketch, Freshly Made Sketches #331 is a sketch by designer Cécile Ribon. I used a stencil a sponged my two vertical lines with Tumbled Glass Distress Ink. Then I sponged two panels of Distress Oxide inks. The first in Twisted Citron and Peeled Paint then the second one with Worn Lipstick. Both panels were spritzed with clean water and absorbed with a paper towel. I die cut the Rose in Bloom from the two panels and paper pieced it together on my card front. 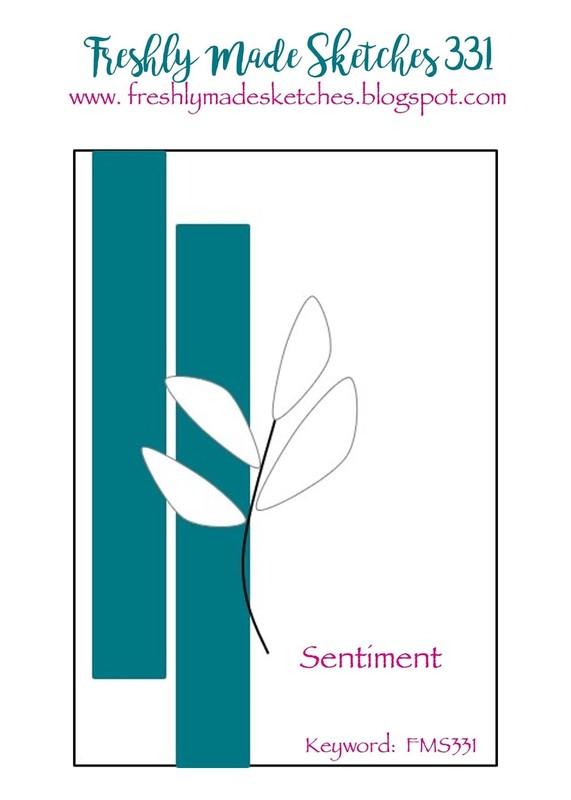 Finally I stamped the sentiment in black. The challenge is open until 3.00 pm EST on Monday April, 9th. Hope to see you come and play with us there. This is so soft and pretty, and perfect for a sympathy card! Glad to have you on board this month, Tracey! Congrats on the GD spot! Love your very sweet card! I'm tickled pink that you are joining us this month! Your card is a CAS masterpiece! Congrats on your GC spot! Your card is so beautiful Tracey. See you real soon. This is as sweet as can be! Love the stenciling behind your pretty flowers! So glad to have you with us this month! Congrats on guesting Tracey, I know you'll rock every sketch! This card is as pretty as can be! Congrats on the GDT!! This is just beautiful!!! That is such a pretty card! I love what you did with the sketch! So sweet! 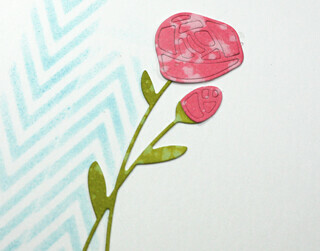 I love the stenciling you added to highlight that sweet flower! Congrats on your guest design spot, Tracey! Your card is just lovely! Congratulations on the GD Tracey! Love your take on the sketch. 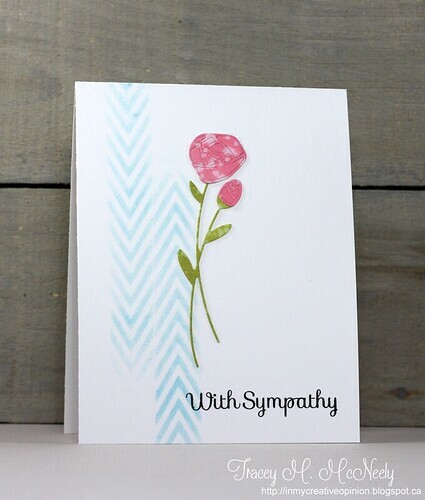 Fabulous colors, and a perfect sympathy card. What a sweet card Tracey! I love those flowers and that sponged background! So pretty! We are so glad you've joined us for the month!!! Gorgeous card! The chevron strips are so cool and that flower is beautiful. So happy to have you join us this month!